LG Electronics recently officially confirmed about the introduction of its upcoming Android based handset, named LG Ally.The all new LG Ally handset is expected to be available for sales by 20th may most probably through Verizon. New LG Ally Android mobile phone comes in slide form factor and equips a 3.2 inch touch Screen display.The LG Ally handset also houses a 3.2 Megapixel Camera and a full QWERTY keyboard.The handset runs on Google Android 2.1 OS and includes features such as Blutooth, music player, Wi-fi and GPS. LG Ally Android mobile phone also included with applications like Google maps and G-talk.The new LG Ally phone also comes integrated with social networks including Facebook and others. For the promotion of LG Ally a web page is also launched with the theme of Iron Man 2 movie, the url is www.lgim2.com.Recent news also reveals that LG is also planning to hold an event on May 11th at New york where the show off of the new LG Ally will takes place. 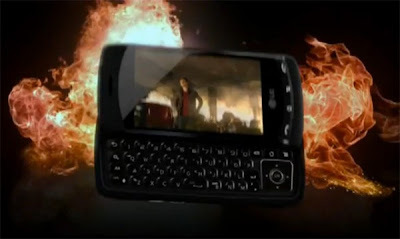 Tags:-ally, android,LG Ally Android Handset details, LG Ally Android Handset features, LG Ally Android Handset specs, LG Ally Android Handset release, LG Ally Android Handset specifications, LG Ally Android Handset launch, iron man, iron man 2, IronMan, IronMan2, lg, LgAlly, qwerty, qwerty slider, QwertySlider, slider,LG Ally Android Handset details.